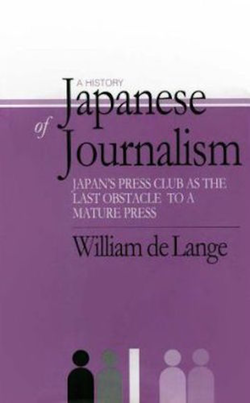 The culture and activities of the press, or press industry, in Japan are little more than a hundred years old. 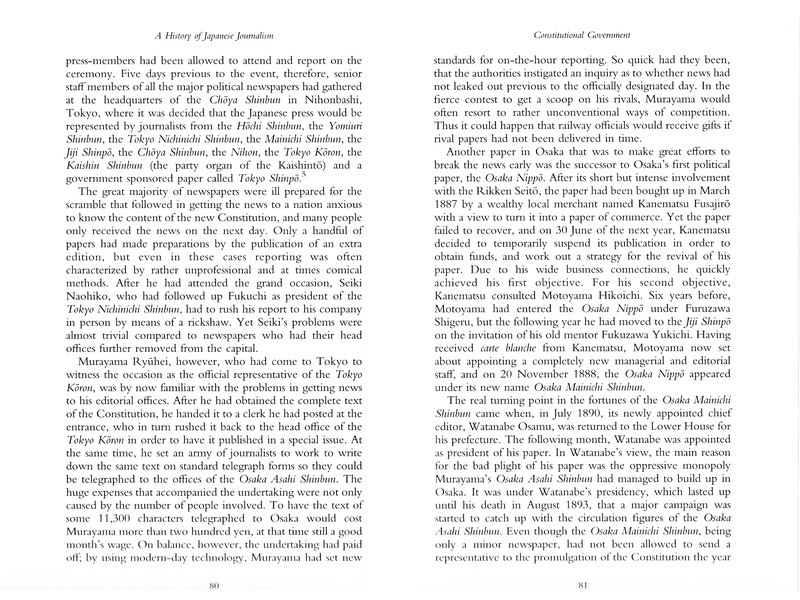 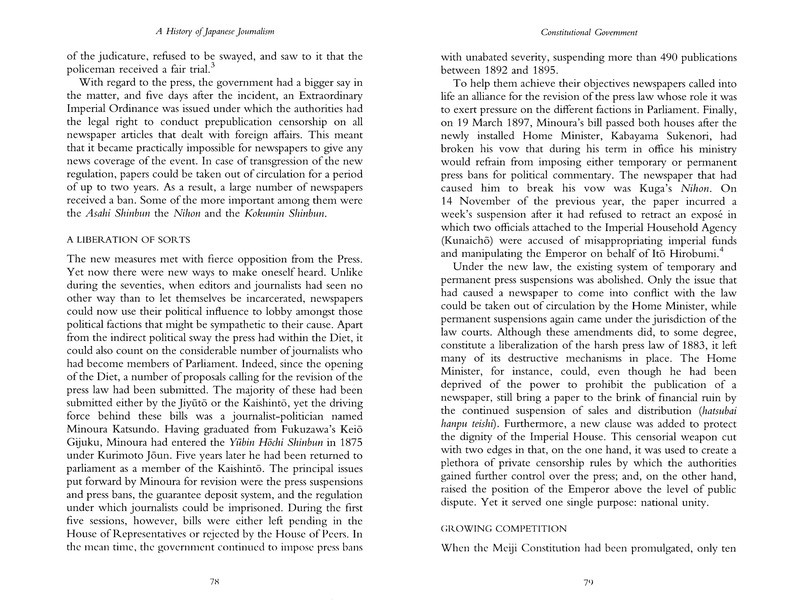 This study represents the first full history in the English language of Japanese journalism. 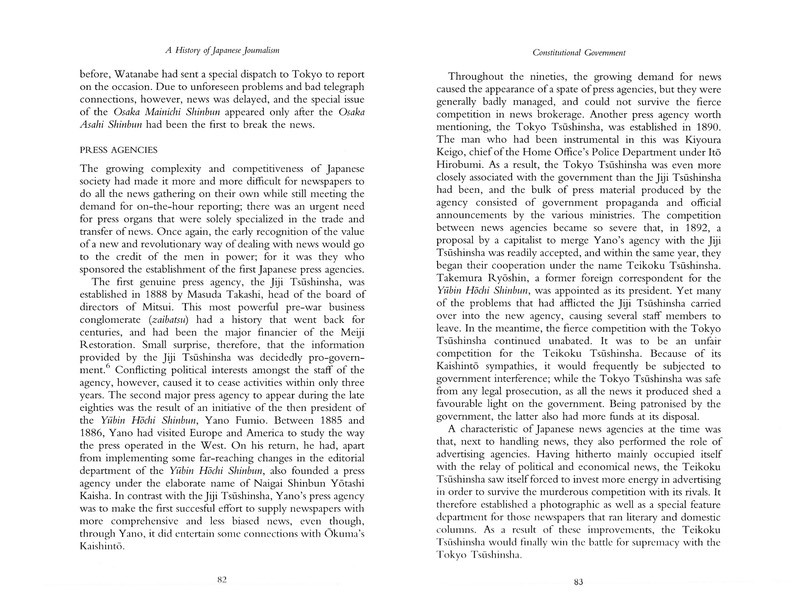 It begins with the 'pre-press' period of the seventeenth century when Japan developed a tradition of 'interpreters' who conveyed information to the authorities about the outside world from the Dutch and Chinese traders confined to the port of Nagasaki during the two hundred years of the 'closed country' period, then on to the Treaty Port years of the late nineteenth century when the foreign press laid the building blocks of today's newspaper industry, the militarist period of the 1920s and 30s, through the post-war 'liberation' of the press that had evolved following the modernization of Japan which accelerated after 1868 (Meiji Restauration). 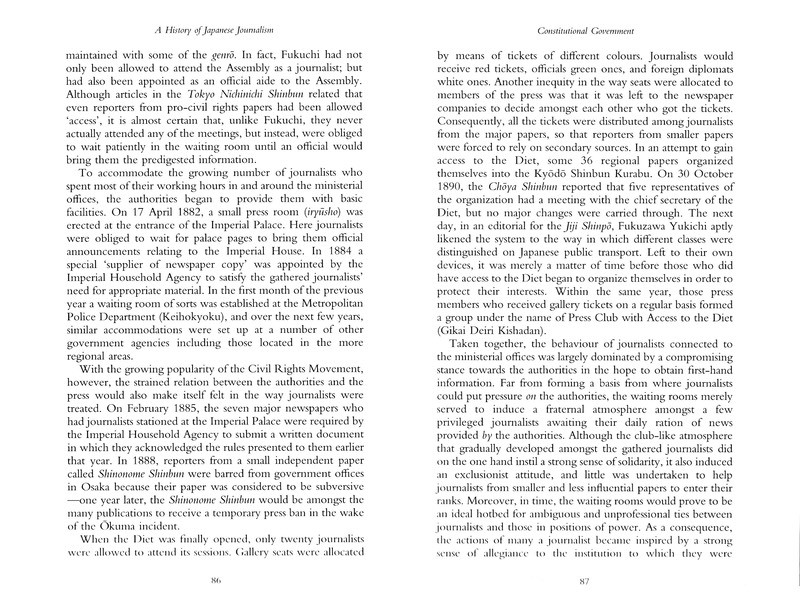 Finally, the author takes a close look at the so-called Japanese press club, the kisha club, which he refers to as a unique Japanese phenomenon— 'an institution through which the Japanese authorities exert a measure of control over the flow of news that is unparalleled in any other democratic society'. 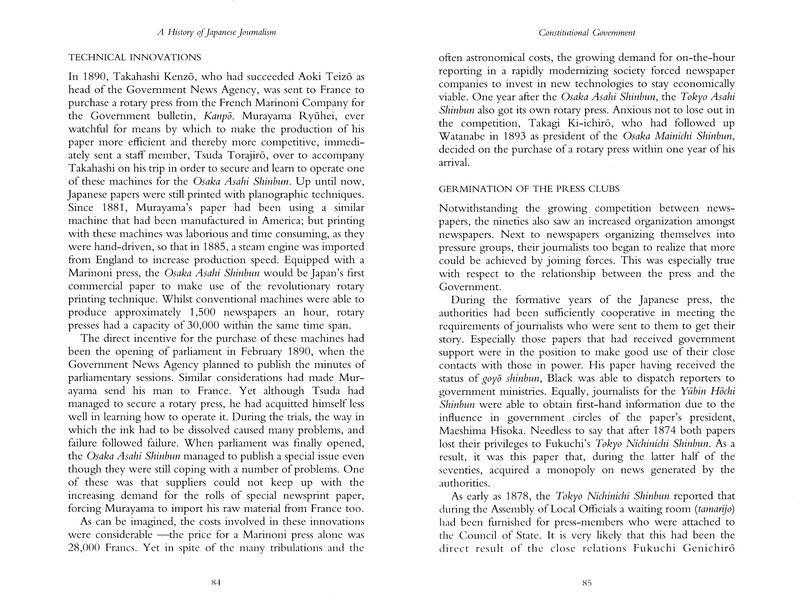 The functioning of this club, which often behaves as a closed environment, has exercised Western journalists throughout the post-war period and continues to be perceived as a disturbing contradiction in the context of a supposedly modern, democratic country.